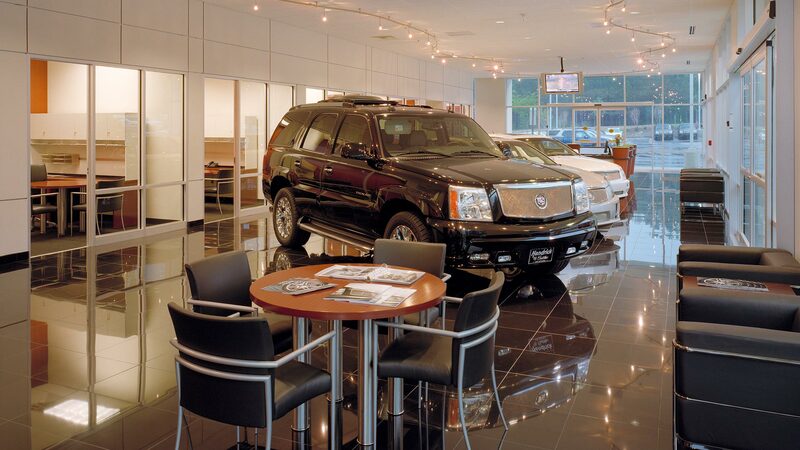 This project was a relocation of the existing Cadillac store located in the famous Cary Automall, built in the early 90's. This new facility was designed to match the current architecture of the Automall from the exterior per Cary's town zoning standards. 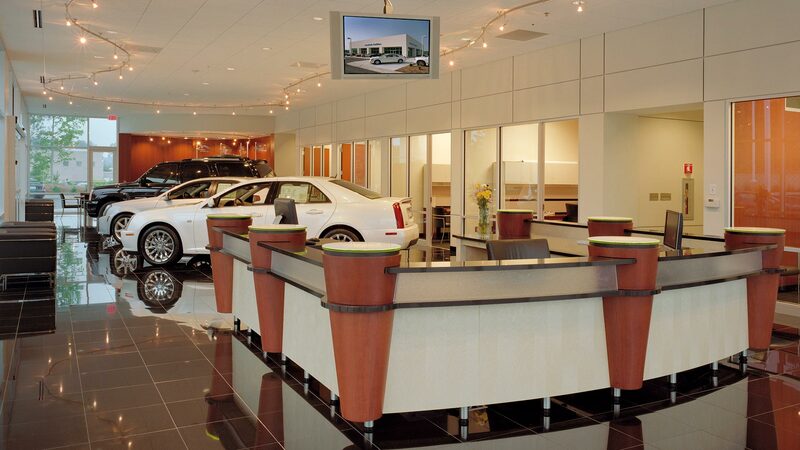 The interior, however, reflects Cadillac's newly revamped Brand Image Program. 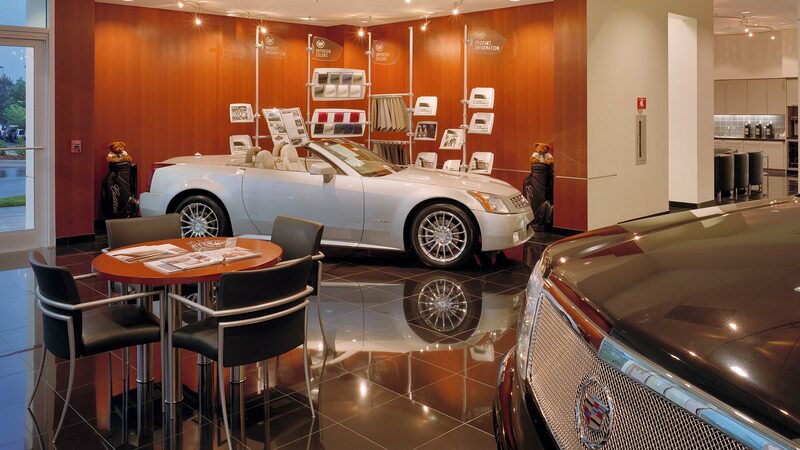 Wood paneled walls, aluminum trims and reveals, high-tech lighting and up-scale modern merchandizing and retail elements help sell Cadillac's new image, designed to market to a much younger customer. 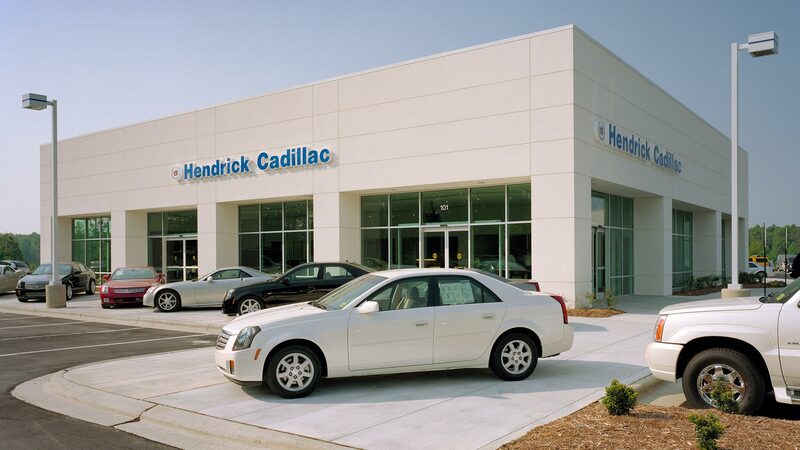 This facility isn't like your grandfather's old Caddy. 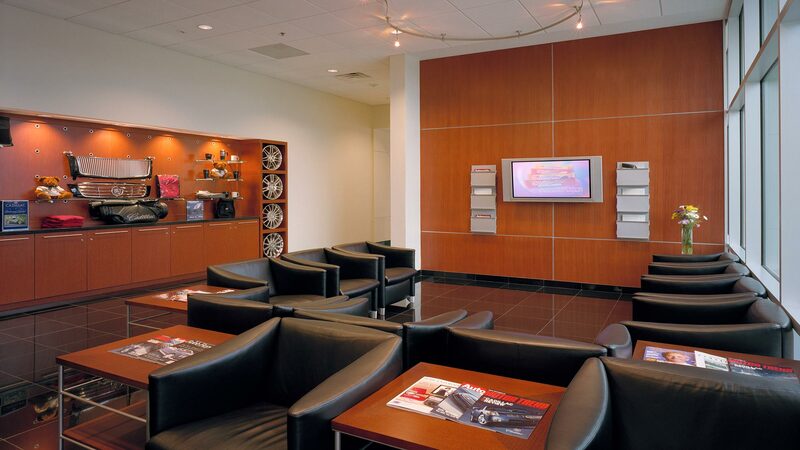 Complete with lifestyle boutiques, gracious lounge space and easy access service reception and drop-off areas, this facility puts the customer first and continues Cadillac's dedication to driver comfort and luxury.